Yesterday a team of GIANTS descended on the Exchange Studio at the Hazlitt Theatre in Maidstone to host another GIANT Talks event; this time all about customer focused digital marketing. 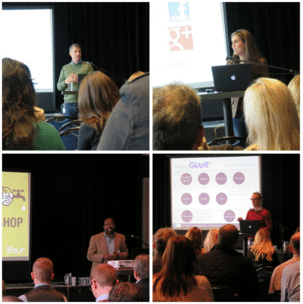 We were fortunate enough to have some great speakers sharing their knowledge on the day. Steve Kreeger from Red Bullet kicked us off in style with his tips for making sense of your users and understanding their needs, giving everyone plenty to think about. Then, the lovely Zoe Cairns from ZC Social explained how you should go about setting up social ads, how they’ve evolved over the years and how you can use them to achieve your business’s goals and objectives. Lastly, our very own Luke Quilter rounded things up with his talk about the importance of the user, and how to make sure that you don’t forget them in this digital age. His Google vs non-Google pub quiz was a definite success! 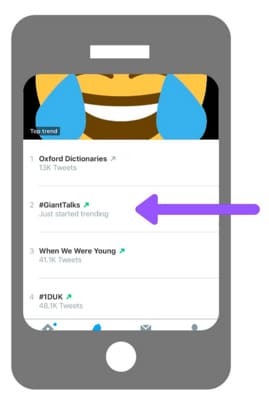 After some furious live tweeting and a few worse-for-wear phone batteries we even managed to get our #GIANTTalks hashtag trending on Twitter, which we think is pretty awesome! We hope everyone who came had a great morning meeting people and learning a thing or two from our amazing speakers. Hope to see you at our next GIANT Talks event, watch this space for updates!